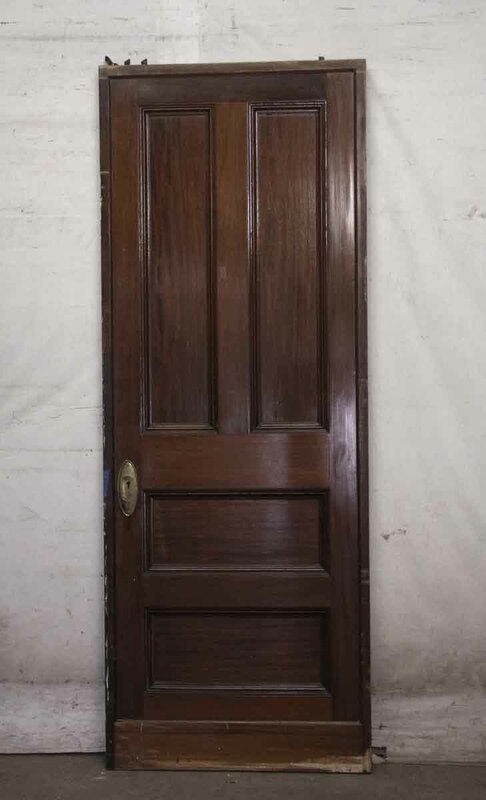 Dark tone wooden pocket door with two vertical panels and two horizontal panels. Matches N256345. One available.